Tally ho! 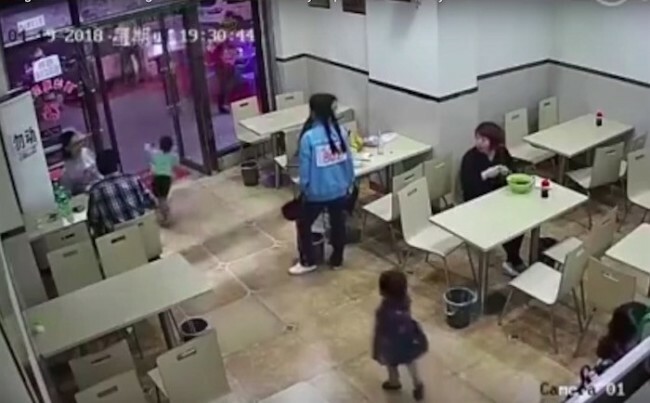 When a woman deliberately tripped a 4-year-old boy who’d accidentally flicked her with a plastic door shield as he tore into a restaurant in China to fetch some chopsticks for his parents, people licked their lips and tucked in. The story got better when they learnt that the tripper was pregnant, the boy had an injury with a name (mild concussion) and the incident has been captured on film. Joyous! Fair-minded people on the Internet have called for the woman to be stripped of her baby, raped, beaten, imprisoned and for her unborn child to be made motherless. Little has been said about the dangers of plastics so close to pregnant women and children running about in a place where hot food is served, but surely that will come. Later we can all turn on the lad’s parents for not instilling discipline in their unruly bairn, and debate the child’s lack of self-awareness and mental capacity. And what of the eatery, and its disregard for the health and safety of its clientele – the restaurant is owned by the child’s parents? They’ll keep for now. We know where they are. Eventually, the hunt identified the woman with the trigger foot. She went to the law, which gave her a 10-day prison sentence and a fine of 1000 yuan ($160). Locking up a woman for a stupid trip was later viewed as being not all the great for mother and baby, so the authorities let her off. Luckily the boy who got tripped up – just as we all have at play and at school many times – is okay. The rest of us are satisfied by a chance to display our moral superiority.